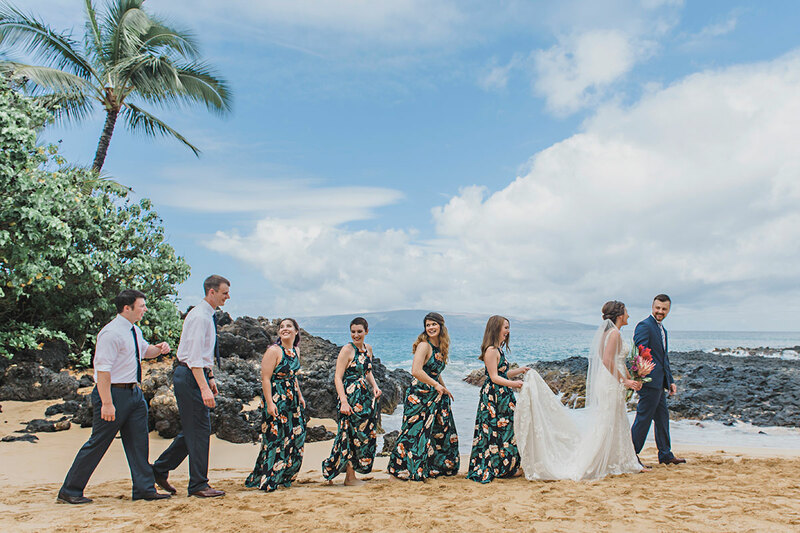 As a Maui wedding photographer, we get to spend precious time with brides and grooms on one of the happiest days of their lives. 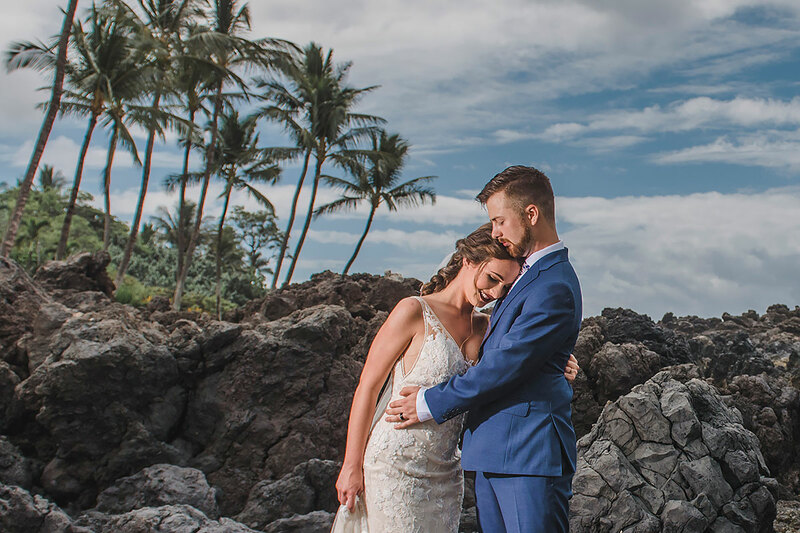 We have the honor and responsibility of capturing these incredibly special memories and moments. 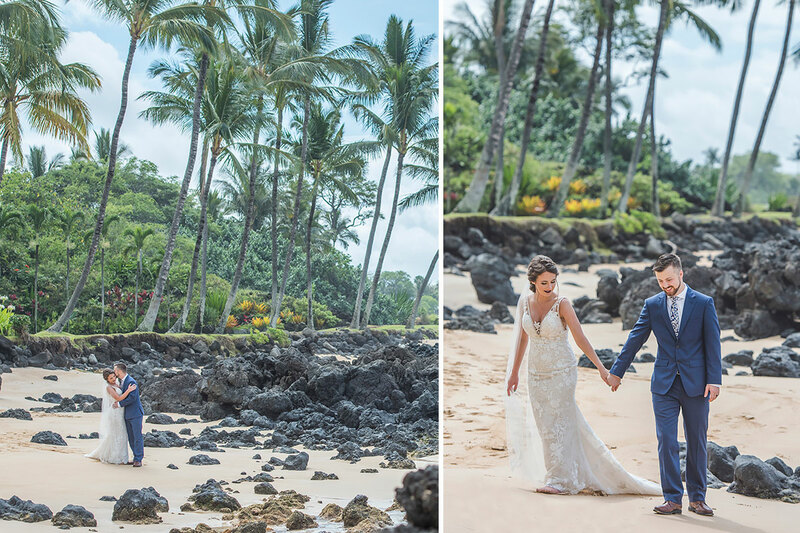 Knowing that our images will be enjoyed for many lifetimes, we create these photographs to be timelessly beautiful. 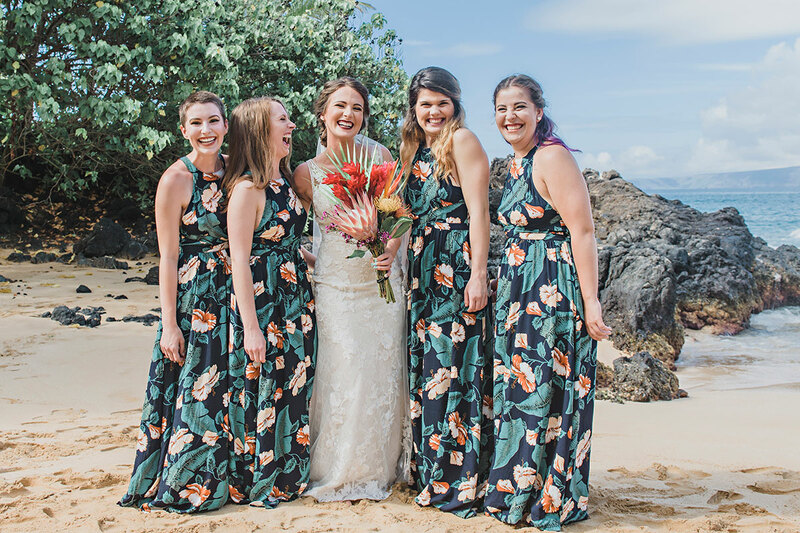 When we receive 5 star reviews from our clients reflecting how happy they are with their Maui wedding photography we are beyond thrilled! 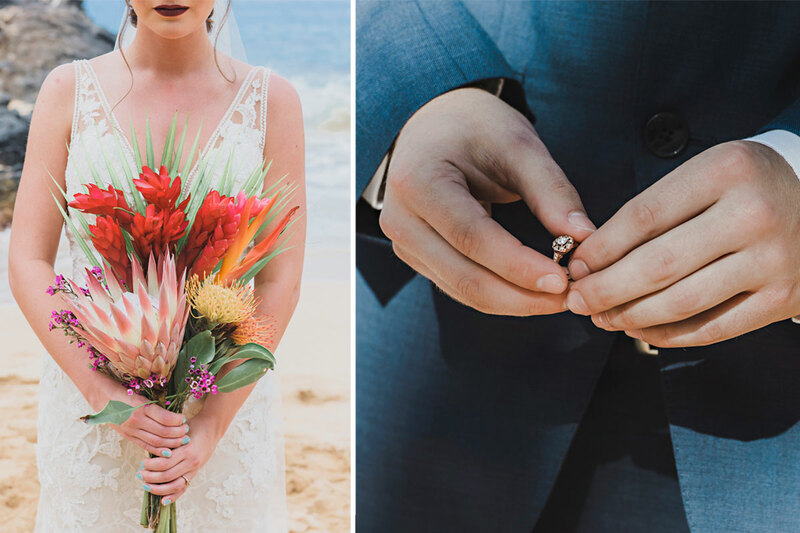 We recently photographed Katherine & Dakota’s Maui beach wedding which was a beautiful ceremony led by one of their closest friends. 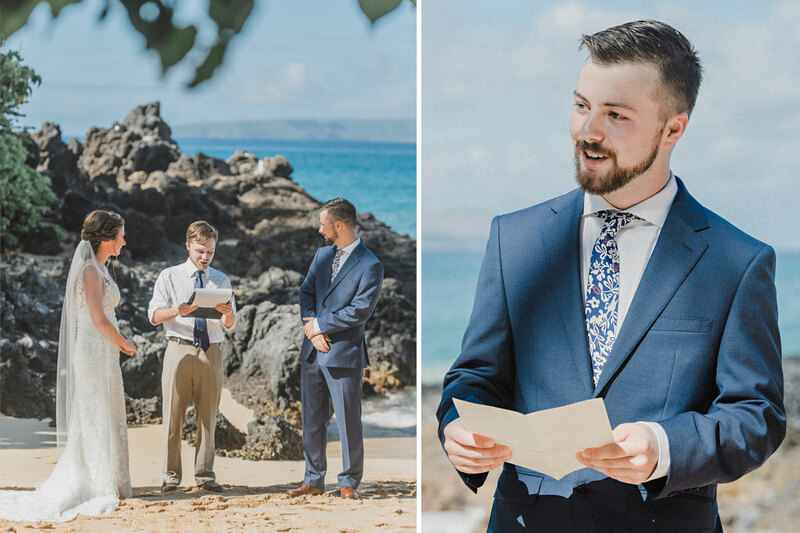 The ceremony was shared with a small group of friends and family at Makena Cove. 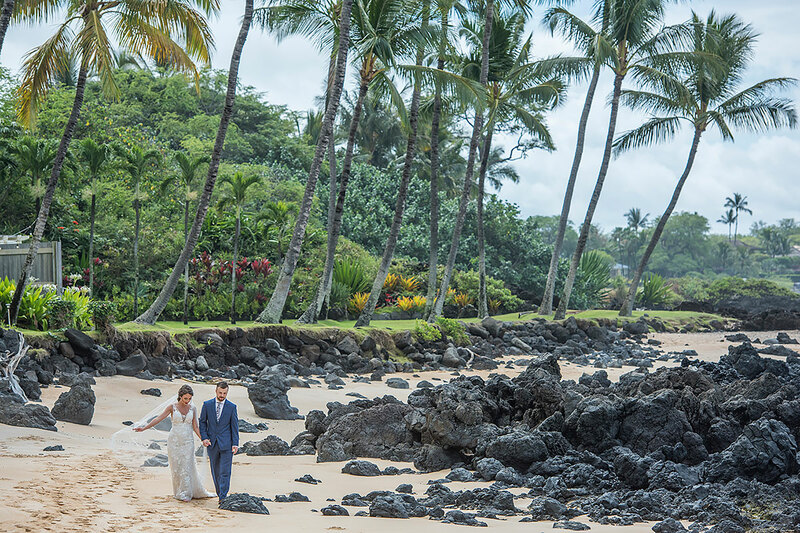 After the ceremony, we photographed some family formals. 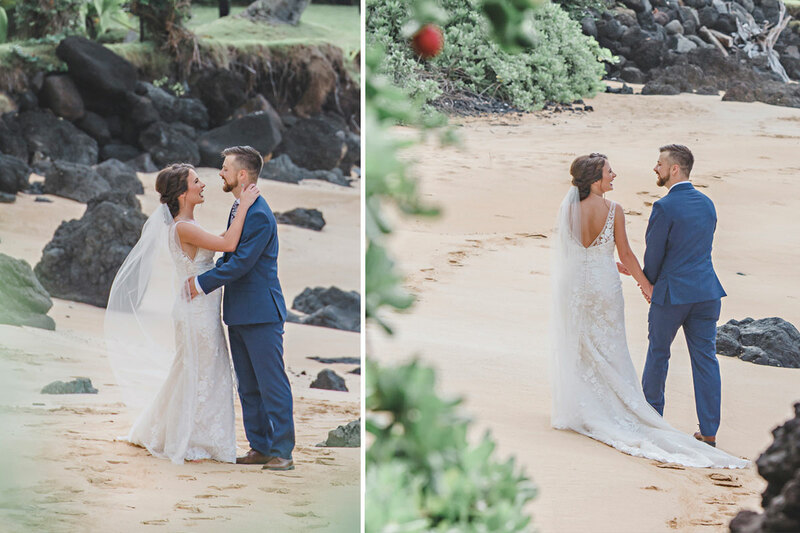 After the formals, we spent some time with the bride and groom photographing their breath-taking and intimate images. 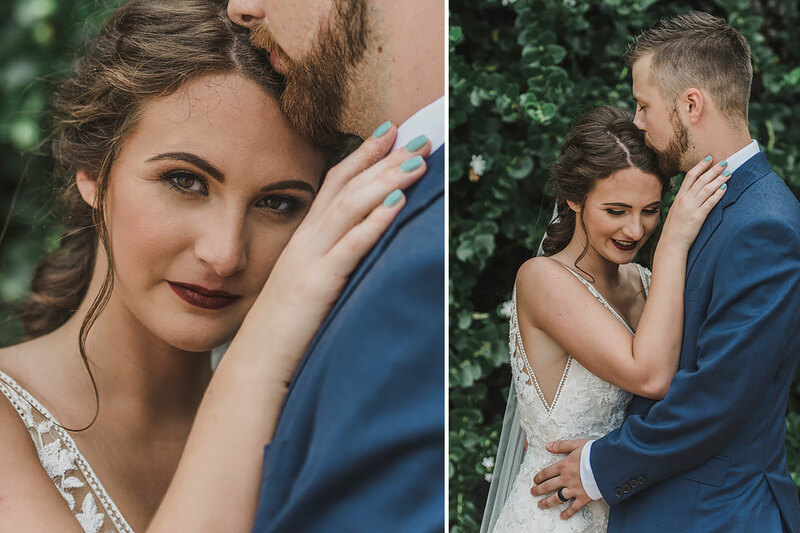 Their love for each other shines through in their images making it a pleasure to photograph them! 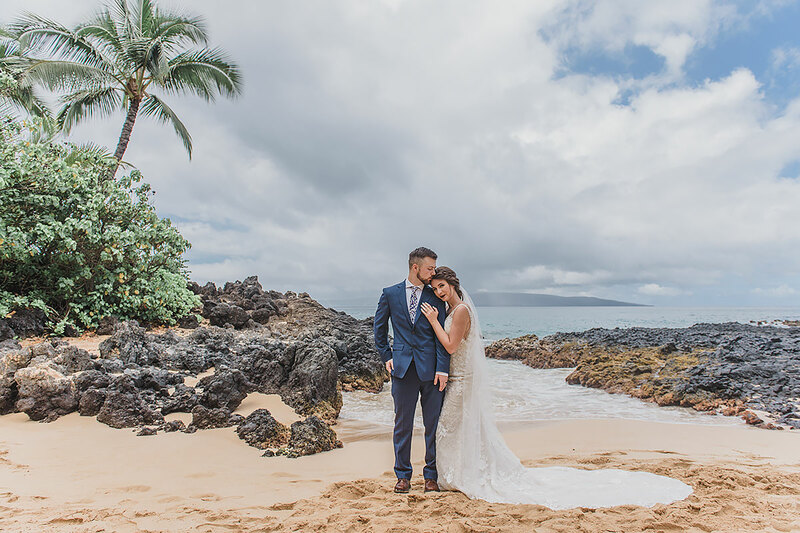 Makena Cove aka Secret Beach aka Pakao Cove, is probably one of our favorite beaches on Maui to photograph weddings or portraits. 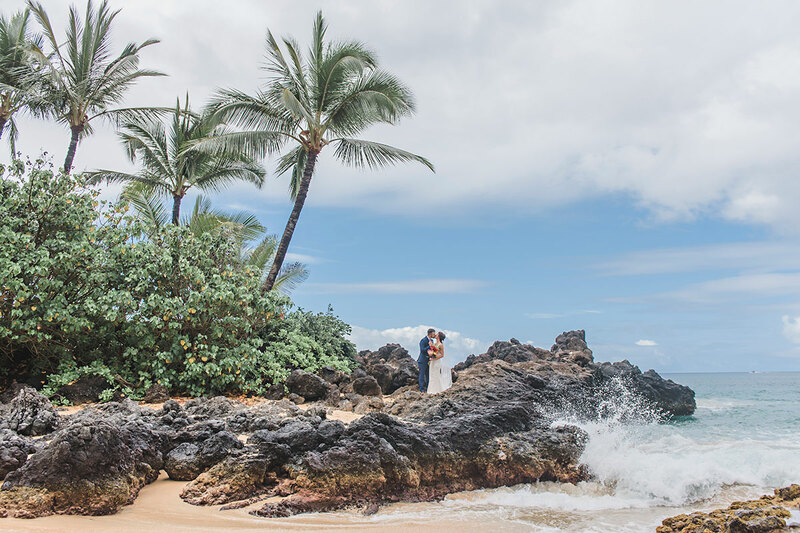 Although it’s a small cove, it has everything you expect of a Maui beach! 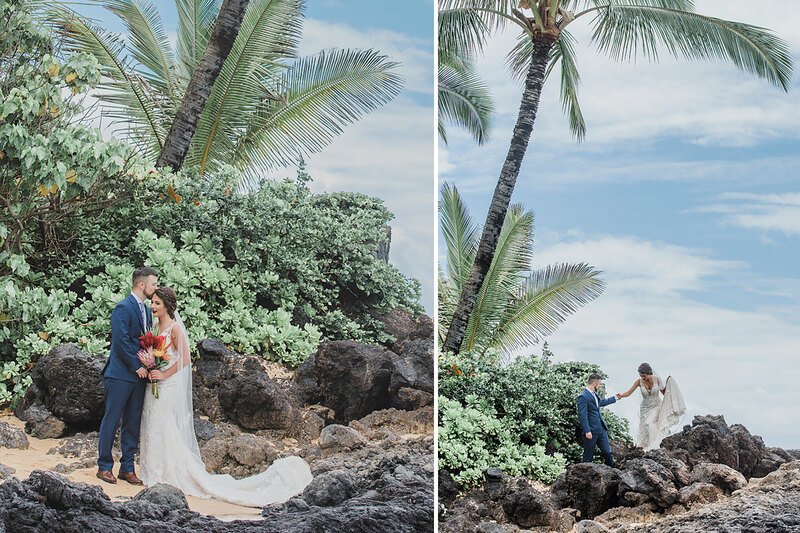 Soft white sand, swaying palm trees, dark lava rock. 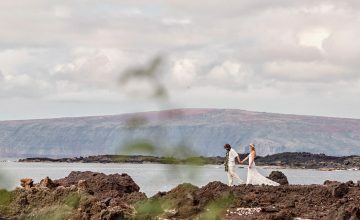 It also has a view of the popular snorkeling spot, Molokini, and the small island of Kaha’aolawe. 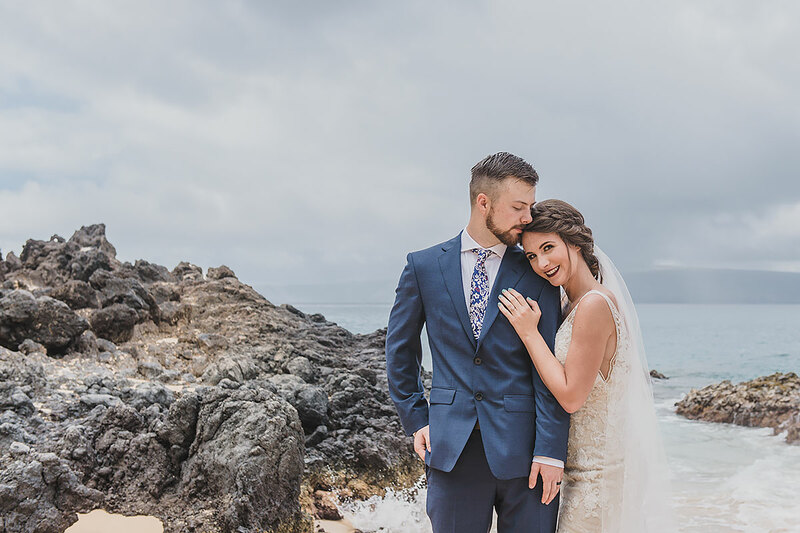 Katherine and Dakota opted for a quaint intimate wedding. 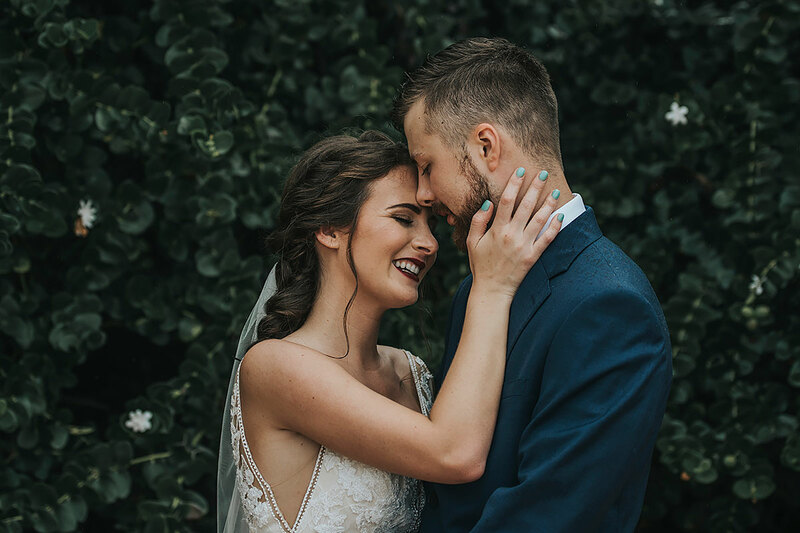 If you’re about to get married and you are researching weddings, it is likely you will have heard this term. 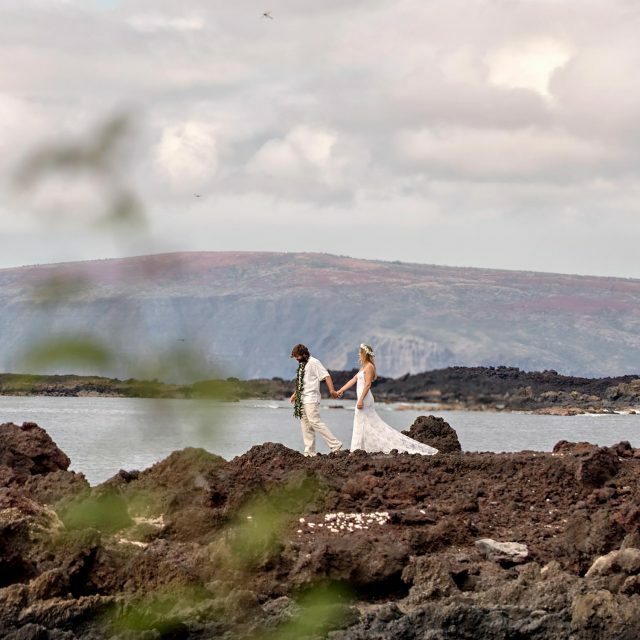 It is also likely that you will have seen a lot of elopement weddings. Is there a difference? Yes! Check out our next blog post to read the difference between the two. You will also find advice on how to arrange a beach wedding. 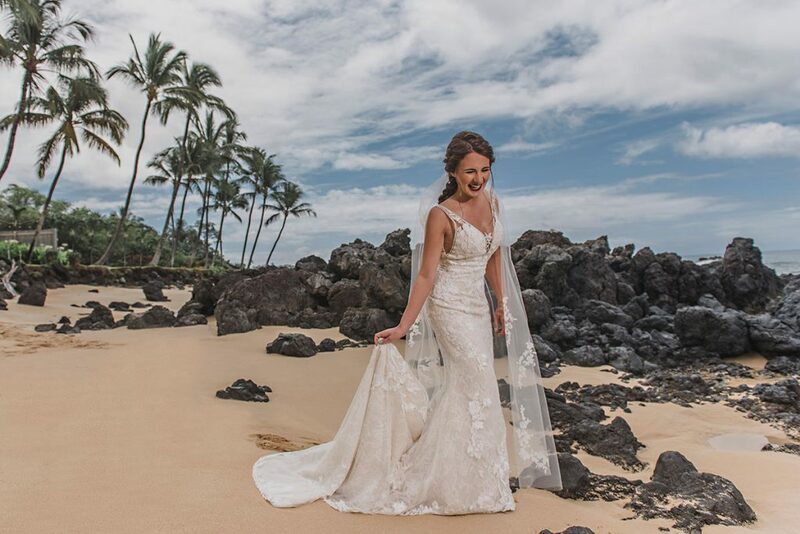 If you need more information, feel free to get in touch with us and we will answer any queries you may have about your Maui wedding planning. 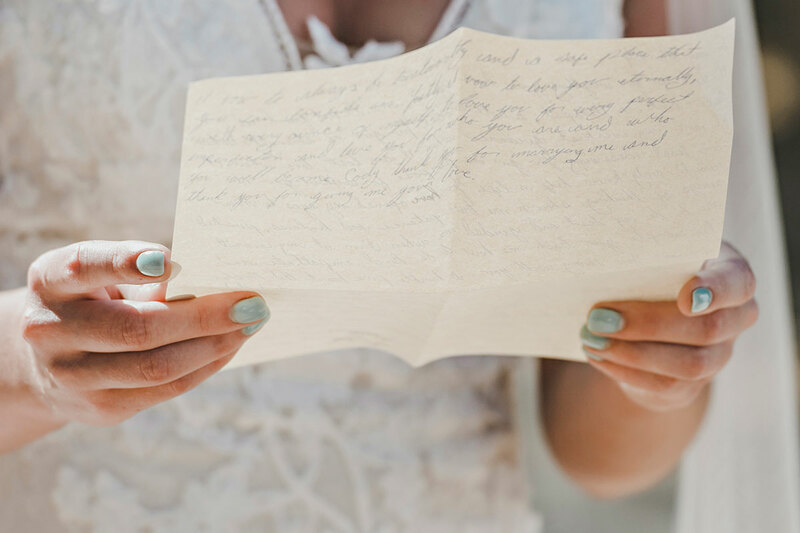 If you have a planner they will also be able to give you plenty of advice on arranging your wedding. 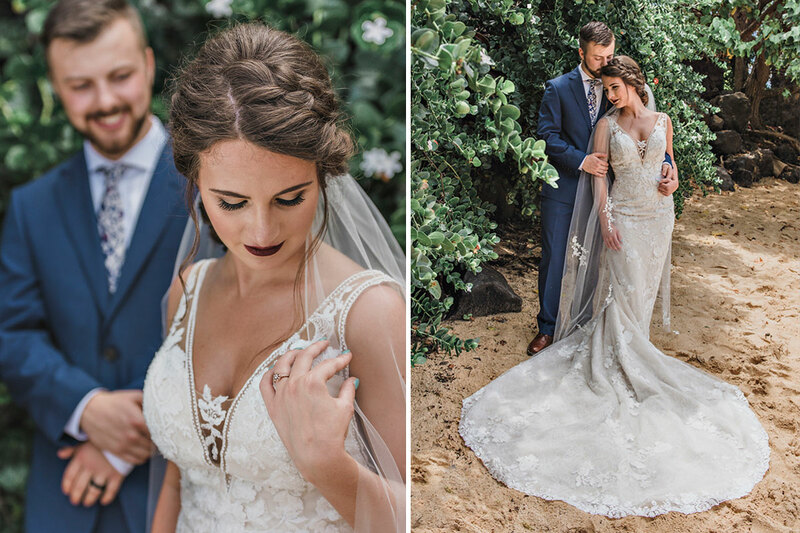 Amorphia Photography was an absolute pleasure to work with. 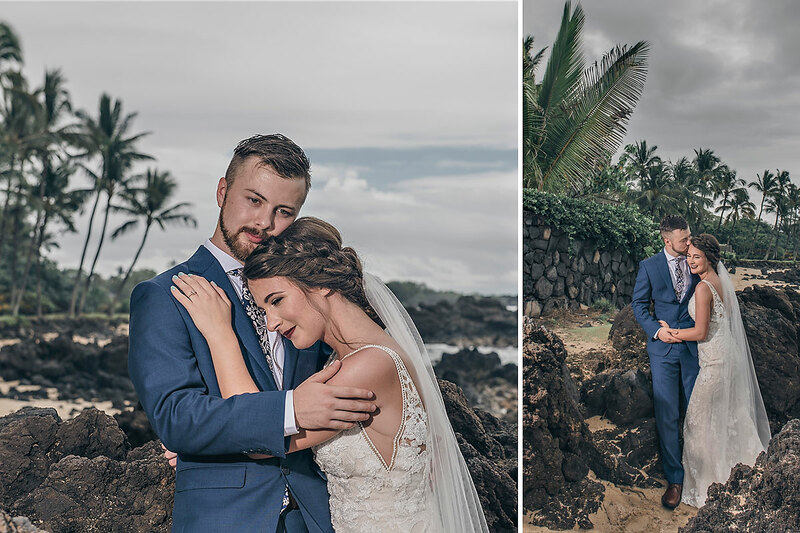 Sofie and Paul are so professional and talented in their craft. 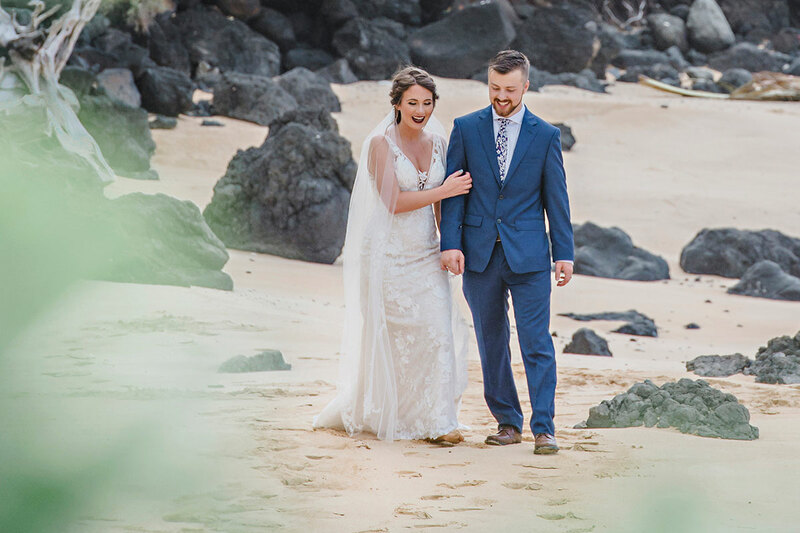 Our wedding photographs turned out superb, we are complimented on them constantly. 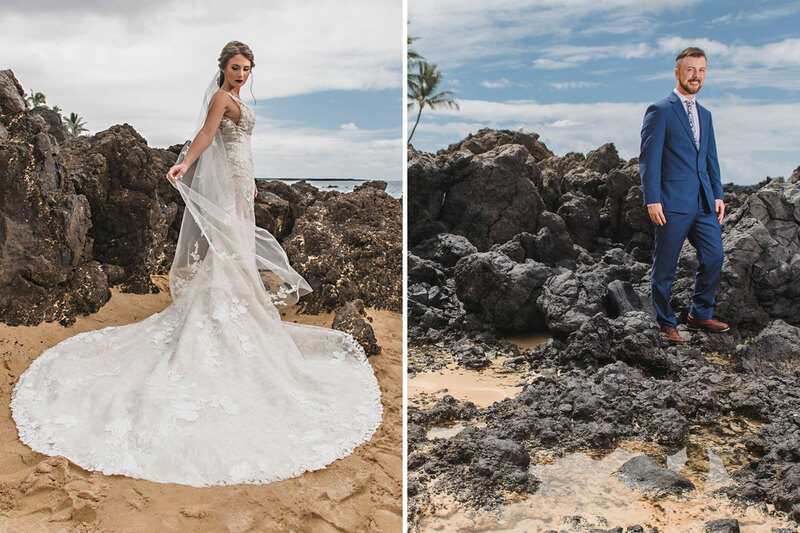 The quality of their work is unlike any other photographer I have worked with. 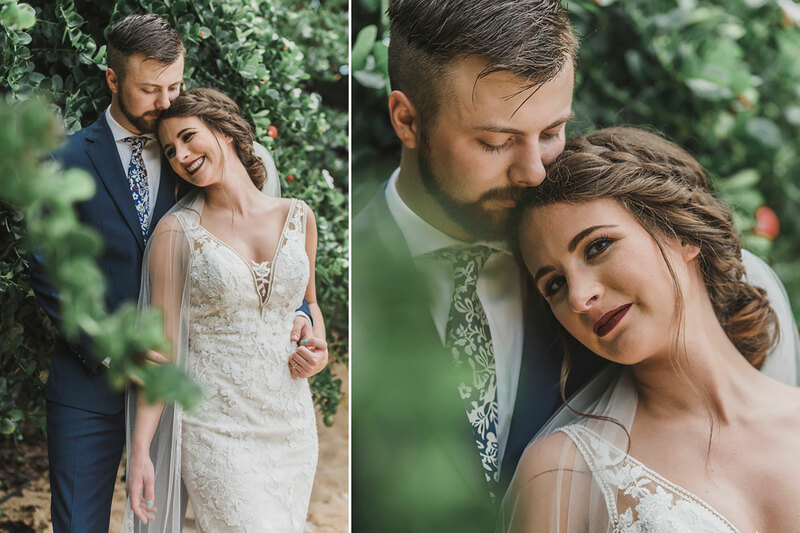 We absolutely love our photos. 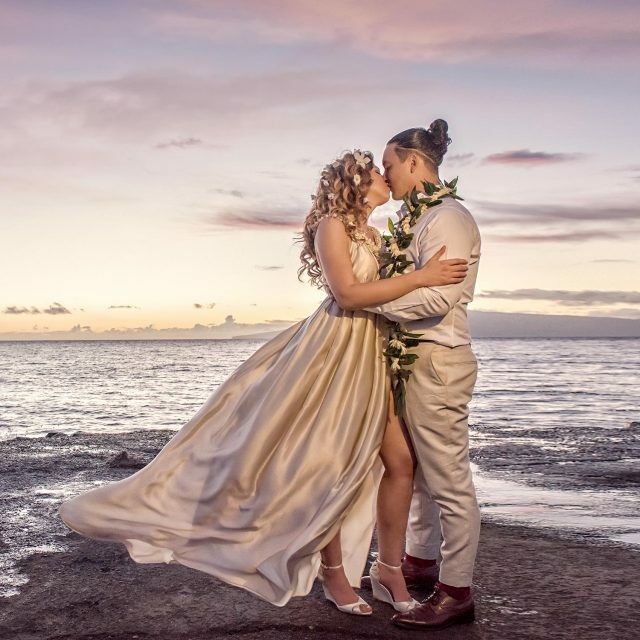 You will not regret booking them for your wedding. 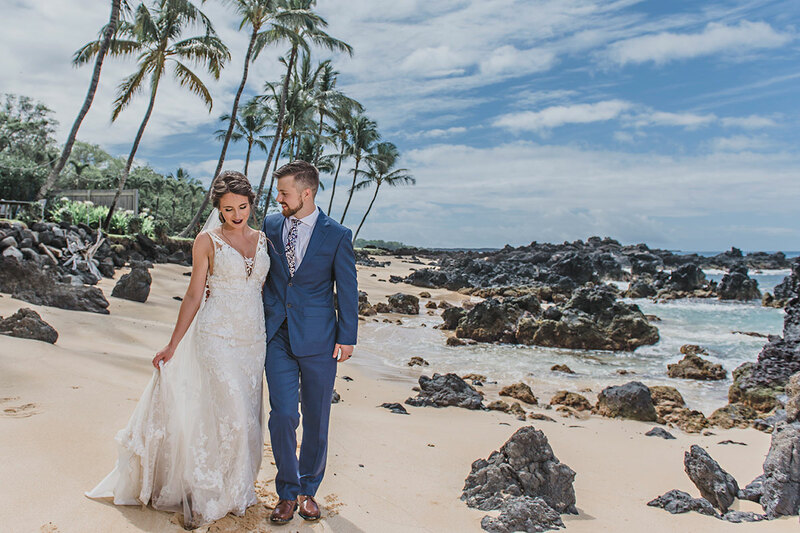 We appreciate how important our work as a Maui wedding photographer is to our brides & grooms therefore each of our clients can be assured of our passion and creativity at their wedding. 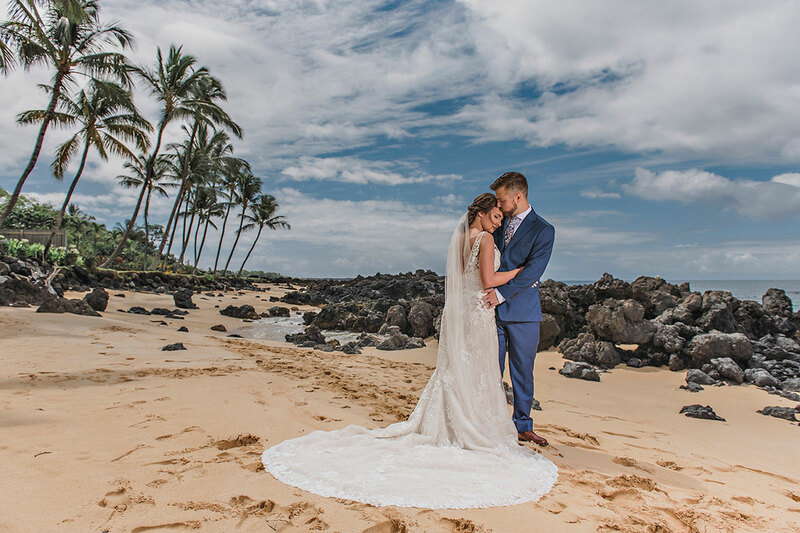 Whether it’s a small beach wedding or a large resort wedding in Hawaii, we are dedicated to creating timeless wedding photographs. 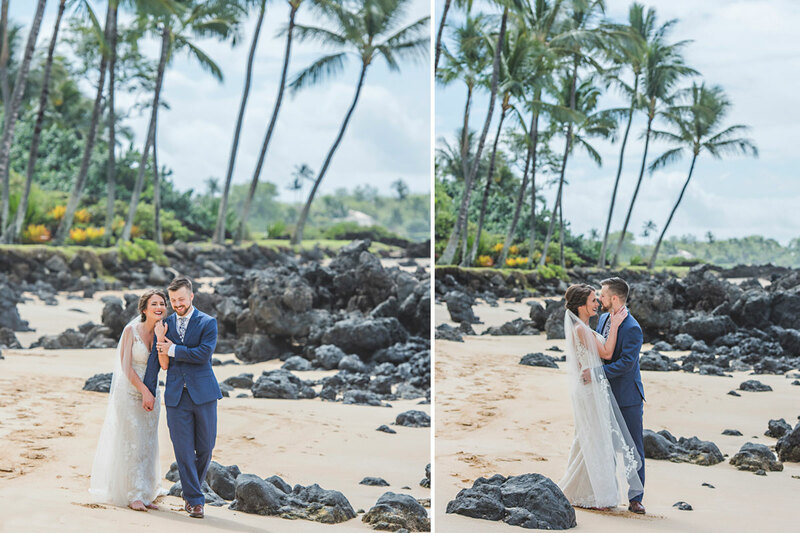 Here is a small selection of photographs from Katherine & Dakota’s perfect Maui beach wedding. 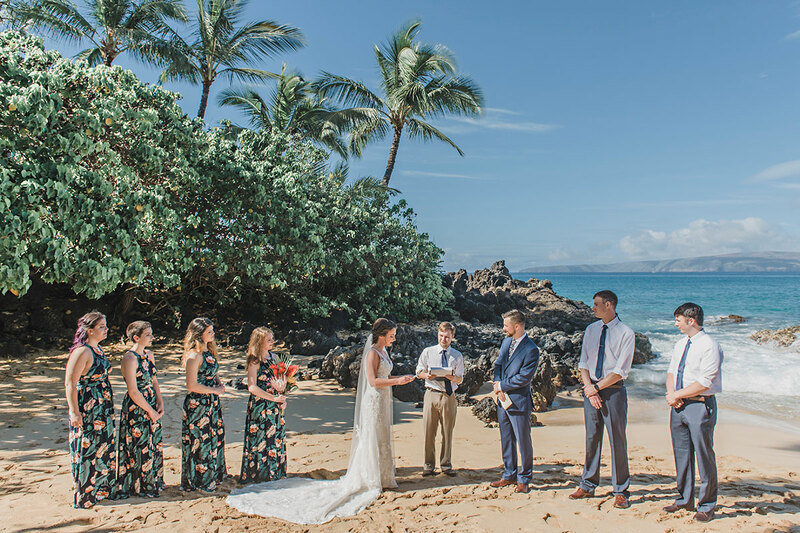 If you loved this location for a beach wedding and want to see more from this adorable little cove, you can view another Makena Cove wedding gallery here. 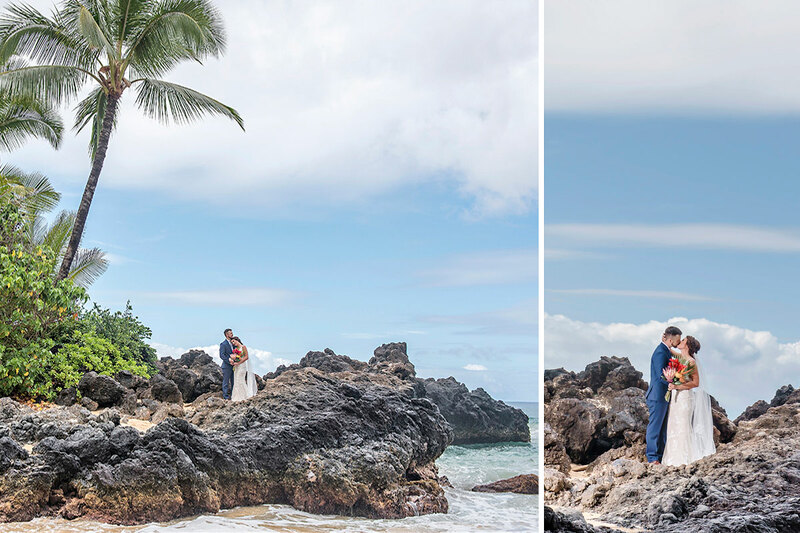 Looking for a Maui wedding photographer to capture your special day? 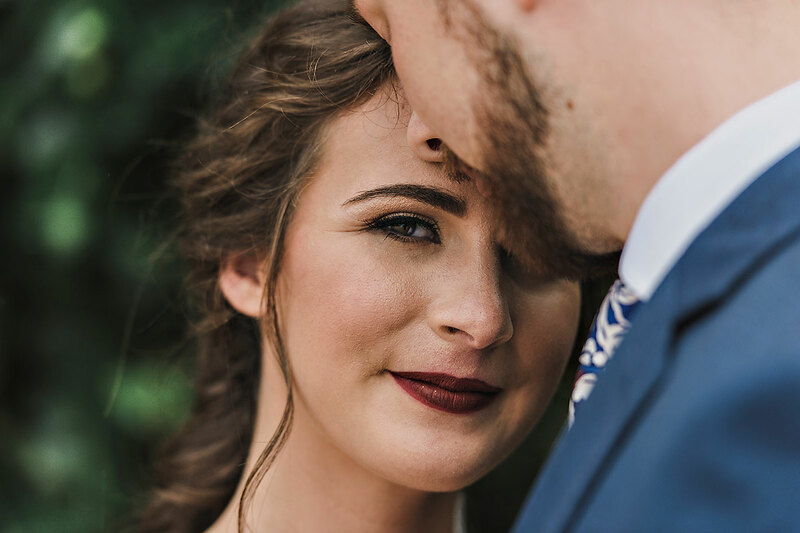 Use our contact page and get in touch!